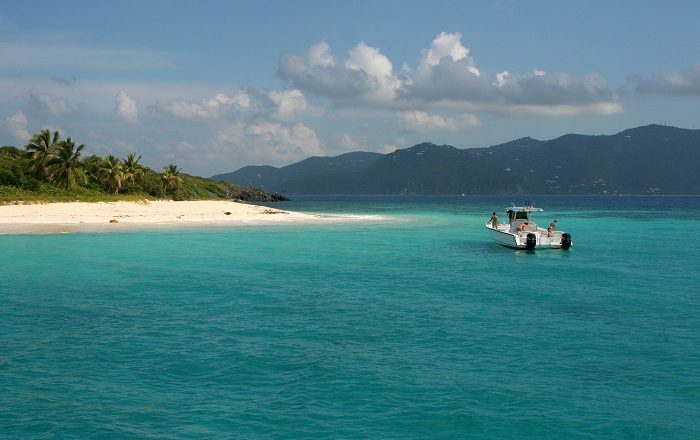 Sandy Cay is an uninhabited small islet which is located between the bigger islands of Tortola and Jost Van Dyke in the Caribbean Sea, being part of the British Overseas Territory, the British Virgin Islands. 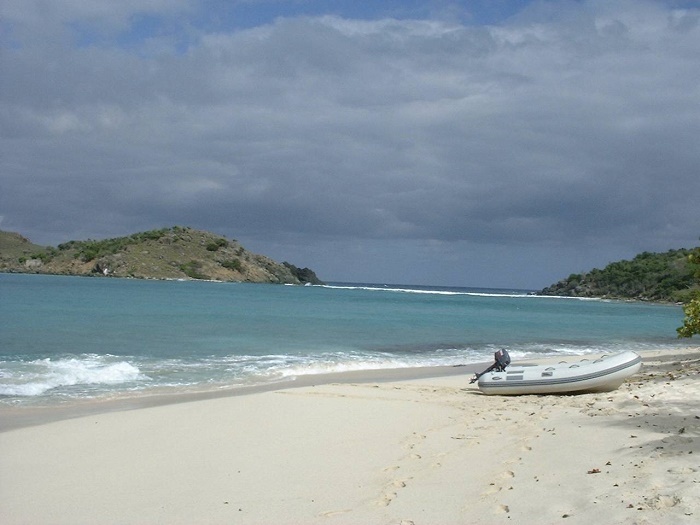 Considered to be the most visited island in the area where there are no structures created by people, it is a perfect getaway spot for those who would like to enjoy in the Caribbean paradise while being alone. 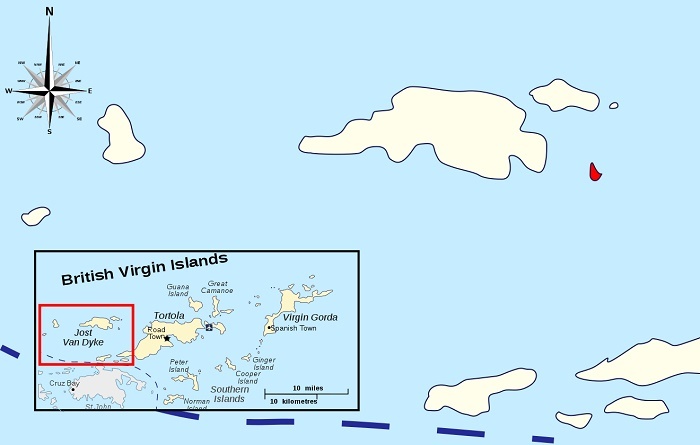 The islet has one long beach that is lined with fabulous palm trees, and there is a small uphill from where amazing vistas of the surrounding islands can be seen. 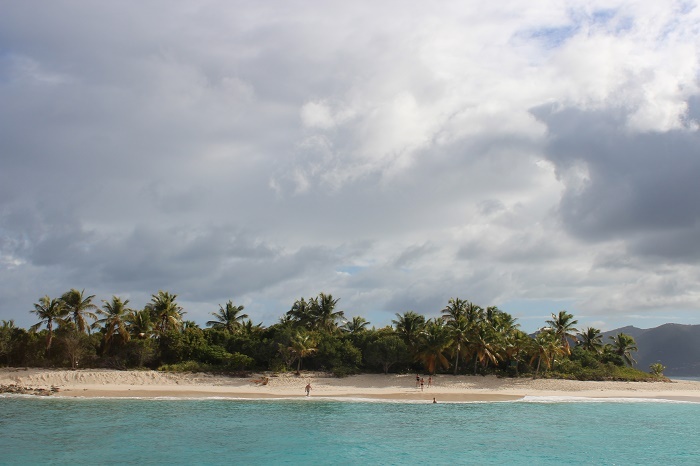 Having some 6 hectares (14 acres) of land area, there is the interesting but short hiking trail which is maintained with the help of Island Resources Foundation, by subcontracting local organizations who are taking care of Sandy Cay. There is somewhat rich flora, with some 90 different varieties of plants that can be found, with no fauna which is controlled for ecological reasons. Still, there can be found some varieties of crabs and reptiles, including crested anoles and geckos. Creating one of the most iconic photographs is a must do with this Caribbean pearl, and as it is frequently visited by sailors who explore the region, it is also an important place for the endangered leatherback sea turtles, which sometimes come to the islet to nest. All in all, a trip which is definitely worth doing, even if it was not on your list while visiting the British Virgin Islands.